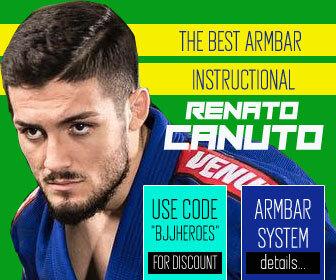 Gustavo Campos, commonly known as Guto Campos, is a co-founder of the Atos Jiu Jitsu Academy one of the prime training camps in the world for the sport of Brazilian jiu jitsu. 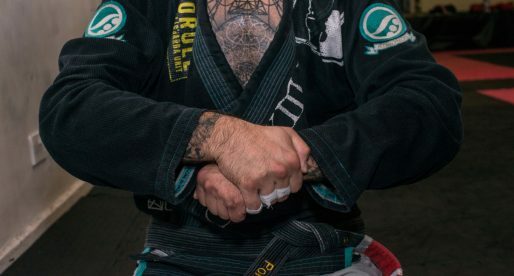 Guto Campos is also a veteran competitor in jiu jitsu at the highest level, having medalled in important tournaments such as the European Open, the Pan American Championships and World Championships. Nickname: “Guto” is short for Gustavo. Gustavo Campos was born in Porto Alegre Brazil – 1980. 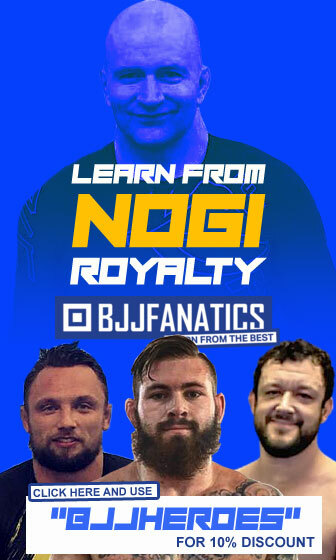 His first contact with Brazilian Jiu Jitsu occurred when watching tapes of the UFC, seeing the legendary Royce Gracie through a VHS tape at a friend’s house, he was so amazed by grappling that he decided to sign up to an academy, at the age of 18. Campos was still living with his parents at the time, and as his father strongly disapproved to jiu jitsu, for that reason Gustavo had to find a part time job to pay for his tuition. 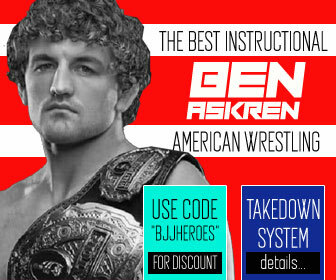 He started off at Carlos Aveline’s academy, Carlos Aveline was a Ze Mario Sperry and Walter Matos black belt. Guto loved the sport so much, he couldn’t stop training, going from 3 classes a week straight to 2 classes a day (7 days per week) in the first few months. He trained with Aveline during the day, and at night he went to another academy run by his childhood friend Mario Reis, who was from another team. 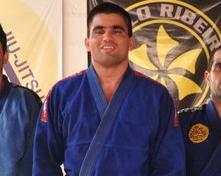 His training paid off as Guto won 3 World Cup tournaments in a row (2001, 2002, 2003) as he progressed through the belt ranking system, in 2004 he got his black belt from Walter Matos. 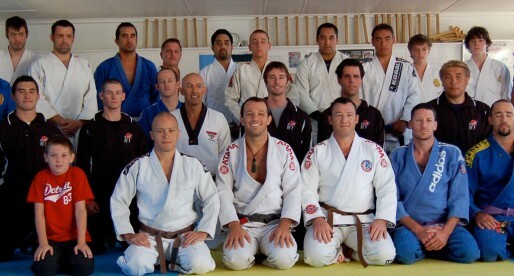 Gustavo always wanted to train with one of his childhood heroes (Rickson and Royce Gracie) and in 2007 he got his wish. Campos travelled to California to train at Rickson Gracie;s Academy, he loved the experience and became good friends with Kron Gracie (Rickson’s son). He came back to Brazil to start his own gym but didn’t have enough money to rent a space at the time. His mom created the space and gave him full usage of her living room. 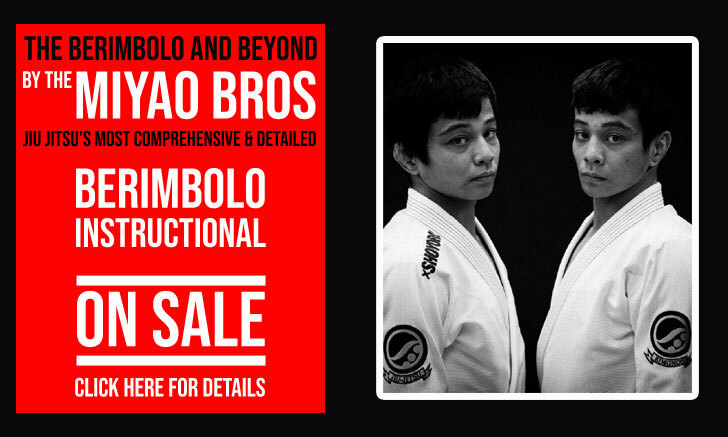 Padded with mats, Mrs Campos’ living room became the very first Ghetto Jiu Jitsu headquarters, where Guto tried to implement Rickson’s teaching methods. The place soon became too small, and he moved to a larger space soon after. 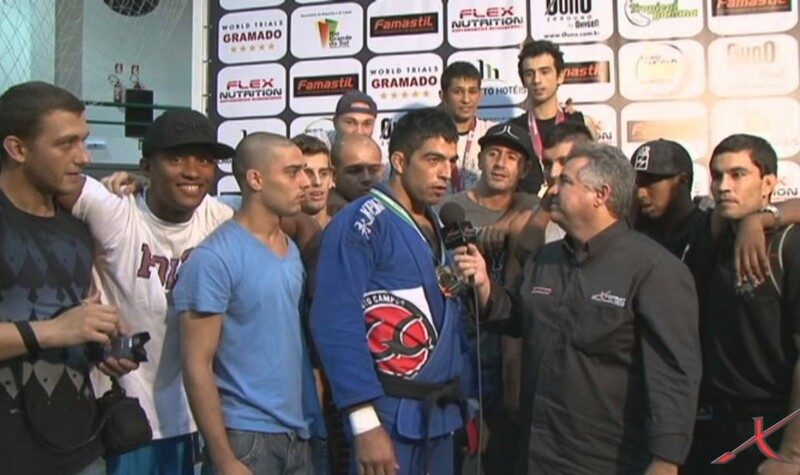 In late 2008 Guto together with his friend Ramon Lemos and Andre Galvao, decided to form a Brazilian Jiu Jitsu super team. With this tio of BJJ black belts and the likes of the Mendes brothers, Bruno Frazatto and plenty others.